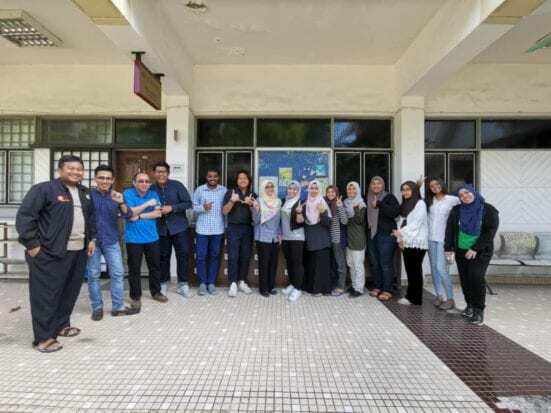 Grab Malaysia and The Department of Geoinformation (FABU) have come together in organising the first mentoring training for mappers , namely Grab Geo*Star at Faculty of Built Environment and Surveying, Universiti Teknologi Malaysia . The event was organised with the full support of Grab Malaysia. This is the first industry-linkages collaboration between Grab Malaysia and FABU. OpenStreetMap (OSM). OSM is a free community mapping platform that has been collaboratively developed by volunteers around the globe where many of the maps have been used by humanitarian and volunteers specifically in making informed decision during crisis and serving consumer based contexts. Several passionate students from Geoinformatics program were been selected to undergo this six-month program started from February and will end in July 2019. Through this program, the candidates will conduct a series of training workshops and develop networking opportunities . The participants will develop and refine leadership and communication skills through peer mentoring other enthusiastic mappers among UTM campus members. At the end of this program, three great leaders will receive tremendous rewards from Grab Malaysia. During this event, the Grab Map Ops Country Lead, Madam Nurmalina Zainal Abidin, travelled down to UTM Skudai to greet the participants and had a short meeting for further collaborations with the representatives of Department of Geoinformation, Dr Nurul Hawani Idris and Dr Noordyana Hassan. The training was conducted by Mr Adam Zulkifli and Miss Maryam Abu Bakar, who are also the alumni of Geoinformatics program and both graduated in 2013. Department of Geoinformatics is honoured to welcome back the alumni, creating bridges for them to contribute back to faculty for student development.